Boat and RV owners looking to update their onboard lighting to energy-efficient LEDs no longer have to replace the entire fixture. Using revolutionary LED technology from Contoure, they simply exchange the bulb. 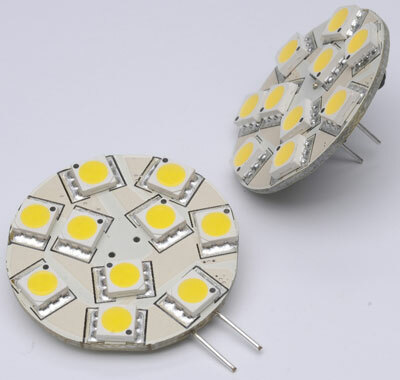 The economical LED Bulbs consume 90% less power, fit perfectly into a variety of existing lamps and are comparable to a 10W Xenon or halogen light. Cost-effective, they’re shockproof, have no filaments to break and provide 40,000 hours of service. Environmentally-friendly, the LED bulbs contain no mercury and generate little heat.